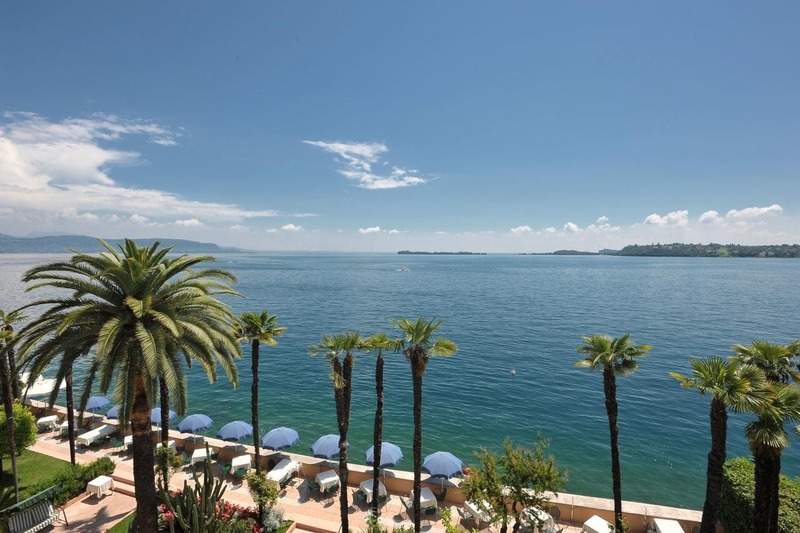 You will be right on the lakeshore at Hotel Monte Baldo and Villa Acquarone, offering cosy rooms, un ristorante in loco, rich gardens and a private beach for a peaceful stay. Walk to the city centre and the tourist harbour, appena 300 m from Hotel Monte Baldo. Staff can organise tours of the lake. The reception and some rooms are found in Hotel Monte Baldo. Other rooms and suites are set in Villa Acquarone, the annexe, which is an historic villa featuring late 19th-century furnishings and decoration. All accommodation at Hotel Monte Baldo is en suite. Modern comforts include air conditioning, una cassaforte e TV satellitare. You can take advantage of boat docks at Hotel Monte Baldo. Relax on the hotel's private beach with a small dock and a diving board. The sun deck surrounding the outdoor swimming pool is equipped with dressing rooms, tables and sun loungers, chairs and umbrellas. In the gardens, you will find an adult swimming pool and a children's pool. Take advantage of the free Wi-Fi and the free private car park. The restaurant provides a panoramic terrace along the lakeshore where you can enjoy your meals with amazing views. Here you can savour typical meals, local specialities and fine wines.